Tip 1. May is Mental Health Month, and you can commemorate it with a story about Ohio State University Extension’s efforts to connect people with helpful mental health resources. For details, contact Jami Dellifield, dellifield.2@osu.edu, 419-674-2297, and Amanda Raines, raines.74@osu.edu, 419-674-2297. Tip 2. Nearly one in seven Ohio households experiences food insecurity, yet agriculture is one of the state’s largest industries. Ohio State’s Initiative for Food and AgriCultural Transformation is addressing this conundrum with the goal of generating solutions that will improve Ohioans’ ability to regularly eat enough nutritious food. Learn more here and from Brian Snyder, snyder.1534@osu.edu. Tip 3. 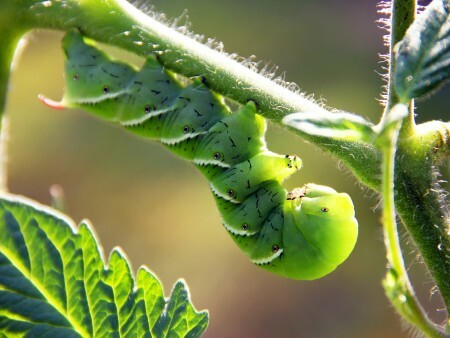 Now that your garden is planted – or at least planned – when should you expect the first onslaught of pests? The Ohio State Phenology Calendar can tell you when you need to be on the lookout and take action, and Denise Ellsworth can explain how it works. Reach her at ellsworth.2@osu.edu or 330-263-3723. 15 Environmental Policy and Outlook Conference, 8:30 a.m. to 4:30 p.m., Nationwide and Ohio Farm Bureau 4-H Center, 2201 Fred Taylor Drive, on Ohio State’s Columbus campus. Free and open to the public, but registration is required; includes lunch. More information and link to register: aede.osu.edu/events/environmental-policy-and-outlook-conference. 16 Bee Lab Webinar, 9-10 a.m., featuring “Where are Honey Bees Foraging in Ohio?” by Reed Johnson, assistant professor, apiculture, College of Food, Agricultural, and Environmental Sciences, The Ohio State University. Free. Join by using the “Guest Login” at go.osu.edu/theOSUbuzz at 8:55 a.m.
18 Building Resilient Communities in a Changing Climate, 9:30 a.m. to 3 p.m., Fawcett Center, 2400 Olentangy River Road, The Ohio State University, Columbus. Conference featuring experts from Ohio State, Mid-Ohio Regional Planning Commission and central Ohio communities. Free and open to the public, but registration is required; includes lunch. Registration deadline is May 14. More information: go.osu.edu/CQ75, 614-247-4762. 23 Trees on Tap! 9 a.m. to 3:30 p.m., Eisenhower Hall, 1760 University Drive, The Ohio State University’s Mansfield campus. Workshop featuring “the marvels of trees” and updates on new diseases threatening Ohio trees, including oak wilt and beech leaf disease. Registration: $40; includes lunch and materials. Registration deadline is May 17. More information: go.osu.edu/CQ7S, 614-688-3421. 4 Bees in Your Backyard: Spotting, Collecting and Identifying Ohio Bees, 9 a.m. to 4 p.m., Stratford Ecological Center, 3083 Liberty Road, Delaware. Workshop with bee expert Olivia Carril, co-author of The Bees in Your Backyard: A Field Guide to North America’s Bees. Registration: $65 per person, or $80 with a copy of the book included. Handouts, lunch and refreshments included. Registration deadline is May 18. More information: ellsworth.2@osu.edu, go.osu.edu/CQ6j. 5 Bees in Your Backyard: Spotting, Collecting and Identifying Ohio Bees, 9 a.m. to 4 p.m., Dawes Arboretum, 7770 Jacksontown Road SE, Newark. Workshop with bee expert Olivia Carril, co-author of The Bees in Your Backyard: A Field Guide to North America’s Bees. Registration: $65 per person, or $80 with a copy of the book included. Handouts, lunch and refreshments included. Registration deadline is May 18. More information: ellsworth.2@osu.edu, go.osu.edu/CQ6j. 6 Lecture and book signing by bee expert Olivia Carril, co-author of The Bees in Your Backyard: A Field Guide to North America’s Bees, 7 p.m., Hoover-Price Campus Center, University of Mount Union, 420 West Simpson St., Alliance. Free. More information: go.osu.edu/CQ6j. 7 Bees in Your Backyard: Spotting, Collecting and Identifying Ohio Bees, 9 a.m. to 4 p.m., University of Mount Union’s Huston-Brumbaugh Nature Center, 16146 Daniel St. NE, Minerva. Workshop with bee expert Olivia Carril, co-author of The Bees in Your Backyard: A Field Guide to North America’s Bees. Registration: $65 per person, or $80 with a copy of the book included. Handouts, lunch and refreshments included. Registration deadline is May 18. More information: ellsworth.2@osu.edu, go.osu.edu/CQ6j. 8 A Day in the Woods: Breeding Birds, Vinton Furnace State Forest, Township Highway 6, McArthur, Ohio. The event starts at 8 a.m. Registration fee: $12. Start the day exploring the Vinton Furnace for songbirds. Learn about identifying birds by song, breeding bird ecology and the important role breeding birds play. Contact Dave Apsley, apsley.1@osu.edu. 9 Guided Bird Walk, 9-11 a.m., Seaman Orientation Plaza, Secrest Arboretum, Ohio Agricultural Research and Development Center, 1680 Madison Ave., Wooster. Free. More information: 330-263-3761. 12 Small Grain Field Day, 9:30 a.m. to 3:15 p.m., OARDC Schaffter Farm, 3240 Oil City Road, in Wooster. The cost is $25 per person and includes lunch for those registered by June 4. Contact Rory Lewandowski at lewandowski.11@osu.edu or 330-264-8722. For more information and to register, go to go.osu.edu/2018SmallGrains. The event will feature sessions on malted barley, wheat and double-cropping soybeans with small-grain production. 14 Whiz Bang Science Show, 7-8:30 p.m. John Streeter Garden Amphitheater, Secrest Arboretum, Ohio Agricultural Research and Development Center, 1680 Madison Ave., Wooster. Free. More information: go.osu.edu/CQ7Q, 330-263-3761. 14 Stone Lab Guest Lecture, 7-9 p.m., Stone Lab, The Ohio State University, Put-in-Bay, Lake Erie. 7 p.m. research brief, “We All Have a Role to Play in Climate Change Education,” by Jason Cervenec, Byrd Polar and Climate Research Center, Ohio State. 8 p.m. guest lecture by Randy Moses, interim senior vice president for research and professor of electrical and computer engineering, Ohio State. Free. Requires ferry ride or own boat or air transportation to Put-in-Bay and $6 round-trip water taxi ride from Boardwalk Restaurant dock to Gibraltar Island at 6:30 p.m. or 7:30 p.m. Also can be viewed online. More information: go.osu.edu/CQ8D. 15 Guided Summer Walk, 2-3:30 p.m., Seaman Orientation Plaza, Secrest Arboretum, Ohio Agricultural Research and Development Center, 1680 Madison Ave., Wooster. Free. More information: go.osu.edu/CQ7b, 330-263-3761. 16 Plastic Pot Recycling, 7:30-11:30 a.m., Chadwick Arboretum, 2001 Fyffe Court, The Ohio State University, Columbus. Free recycling of horticultural plastic pots, cell packs and trays. More information: clark.2849@osu.edu, go.osu.edu/CQ7q. 20 Bee Lab Webinar, 9-10 a.m., featuring “Ethics in Beekeeping” by Kim Flottum, author and editor of Bee Culture Magazine. Free. Join by using the “Guest Login” at go.osu.edu/theOSUbuzz at 8:55 a.m.
21 Stone Lab Guest Lecture, 7-9 p.m., Stone Lab, The Ohio State University, Put-in-Bay, Lake Erie. 7 p.m. research brief, “Visual Ecology of Lake Erie Fishes,” by Chelsey Nieman, doctoral student, School of Environment and Natural Resources, Ohio State. 8 p.m. guest lecture by Stephen Spear, executive director, The Wilds. Free admission. Requires ferry ride or own boat or air transportation to Put-in-Bay and $6 round-trip water taxi ride from Boardwalk Restaurant dock to Gibraltar Island at 6:30 p.m. or 7:30 p.m. Also can be viewed online. More information: go.osu.edu/CQ8X. 28 Propagating Cuttings Workshop, 9 a.m. to noon, Jack and Deb Miller Pavilion, Secrest Arboretum, Ohio Agricultural Research and Development Center, 1680 Madison Ave., Wooster. Registration: $10 for members of the Friends of Secrest Arboretum; $15 for nonmembers. More information: go.osu.edu/CQ7d, 330-263-3761. 28 Stone Lab Guest Lecture, 7-9 p.m., Stone Lab, The Ohio State University, Put-in-Bay, Lake Erie. 7 p.m. research brief by Jessica D’Ambrosio, Western Lake Erie project director, The Nature Conservancy, Ohio. 8 p.m. guest lecture by Kelli Page, executive director, Great Lakes Observing System. Free admission. Requires ferry ride or own boat or air transportation to Put-in-Bay and $6 round-trip water taxi ride from Boardwalk Restaurant dock to Gibraltar Island at 6:30 p.m. or 7:30 p.m. Also can be viewed online. More information: go.osu.edu/CQ8Z. 28 Name That Tree, 9 a.m. to 3 p.m., Ohio State University Extension Defiance County office, 06879 Evansport Road, Defiance. Workshop on identifying trees. Registration: $35; includes lunch. More information: Bruce Clevenger, 419-782-4771, clevenger.10@osu.edu; John Schoenhals, 419-636-5608, schoenhals.2@osu.edu.